Clay Finnes is the sheriff of a small town in Georgia called Bulwark. Recently separated from his wife, all he can think about is what went wrong, and will Jenna ever come back to him. He’s troubled by a bothersome reporter trying to build a story from what he thinks is a normal day in his life. Clay has to admit that the fantastical stories, told by an accident victim as well as unusual sightings of wolves, things are getting a bit strange. A visit to the ominous Gingerbread House makes him realize that his life as he knows it will never be the same. 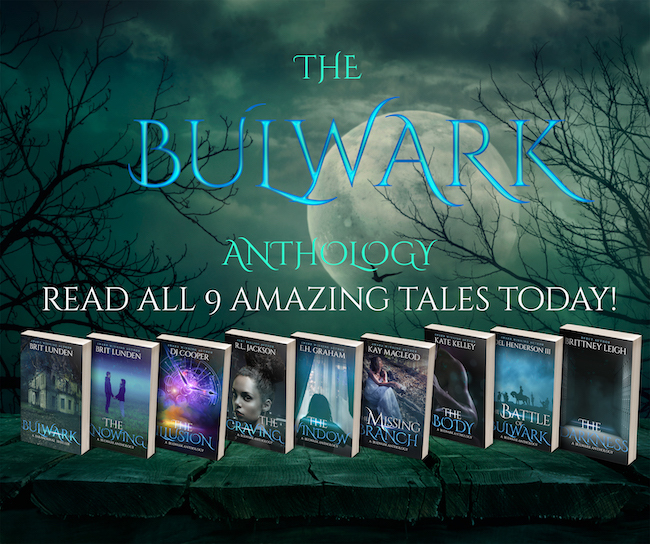 This book is part of the Bulwark anthology! “It’s like a primordial soup,” Clay Finnes muttered, his hands on his hips. “A primordial what?” Owen Bishop raised his hangdog face to look at the town sheriff. “Oh,” Owen shook his craggy head. His bulbous eyes looked like two hard-boiled eggs, and his hair was matted as if glued to the top of his round head. Owen never passed any of the tests allowing him to advance in the force. He was a deputy when Clay first got a job in Bulwark, right out of the army. As the promotions started coming, Clay eventually became his boss. He wondered if it bothered the older man to be taking direction from someone who had trained under him. “You mean like dinosaurs?” Owen scratched his head. “Dino . . . no . . . forget it, Owen. What else did the couple say?” He listened to Owen drone on about the car that was now sitting in the middle of the greenish pond. “Appears they were coming from the other side.” Owen pointed vaguely in the other direction. Something was wrong. Clay wasn’t sure what, but a feeling of unease enveloped him until his body fairly vibrated with it. Clay looked up, his deep brown eyes scanning the thicket of trees surrounding the strange body of water that seemed to have appeared overnight. He crinkled his nose; the pond smelled pretty bad too. It was a greenish color, like dirty army fatigues. It seemed shallow. He resisted the urge to stick the toe of his boot in the water. It was still, the surface like polished glass. The Ford Fusion was trapped in what appeared to be the deepest part of the puddle, as if the driver had tried to speed through it. Clay estimated the brackish water was about two feet deep. “If they had skirted the edges, they would have made it through. He shoulda used the choke, probably got an entire engine full of water.” Once Owen started talking, he could go on about something forever. He took off his hat, wiping his sweaty forehead with the back of his hand. It was hotter than usual. No breeze ruffled the leafy trees or relieved the stifling humidity that made his shirt stick to his back. There was nothing—no sound, not the buzzing of bees or the droning sound of mosquitoes. Not a bird in sight or the croaking music of frogs in the late afternoon. When he got home, he’d mention it to Jenna—his wandering thoughts came to an abrupt halt. There would be no conversation. Jenna wasn’t there anymore. His family’s old farmhouse only had one occupant now. His wife had up and left him. Clay’s chest tightened, his throat closing up. His entire life changed and would never be the same. Losing Claire was just the beginning of the end. After that had happened, it was as though they were stuck in some nightmare and couldn’t get out. “JB?” Clay liked the retired football pro, had shared quite a few stories with the old vet. Clay looked at her. His cheek twitched. Her buttons straining, her clothes were so tight, they looked like they had been painted on her body. She shook her mane of red hair like an angry mare. He turned his gaze away, knowing it annoyed her. No matter how much she pranced around in her tight jeans, he wasn’t interested. She hadn’t done anything for him in high school, and she didn’t do anything for him now. Somehow, it never stopped her from trying to get him to notice her. Clay was tired of it. He sighed heavily. She came around the back of the car, moving into his personal space. For a minute, Clay thought about backing up, but damn it all, he was the sheriff. He stood his ground, daydreaming how Dayna would react if he threw her into the stinky, green lake that had seemingly developed overnight. Dayna repeated her comment about someone dropping waste. Clay shrugged indifferently then turned to Owen, ignoring her. He saw Dayna take off, her feet scurrying around a clump of bushes. “Dayna!” Clay called after the reporter, who was dashing up the incline straight to JB Straton’s cabin. 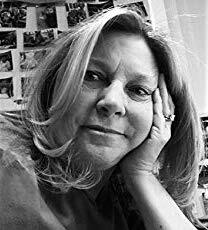 Brit Lunden is also known as prolific children's author, Carole P. Roman. She has published over fifty books. Whether it's pirates, princesses, or discovering the world around us, her books have enchanted educators, parents, and her diverse audience of children. She hosts two blog radio programs and is one of the founders of a new magazine, Indie Author's Monthly. She's been interviewed twice by Forbes Magazine. Carole has co-authored a self-help book, Navigating Indieworld: A Beginners Guide to Self-Publishing and Marketing. 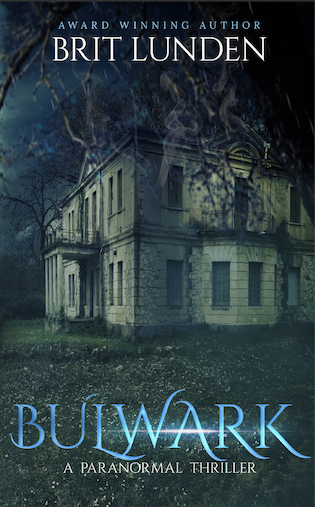 Bulwark is her first book of adult fiction.